Matt Sears is a UK-based, award-winning independent filmmaker. He started making films at age 12 when he and his best friend “borrowed” his Dad’s video camera to make little action films. Ever since then, making films for him has been his life. Finding most of his success in the horror genre, he is best known for his short horror I Heard It Too, which has won multiple awards and has over 4.5 MILLION VIEWS. Matt’s projects have been featured on sites such as BuzzFeed, IGN and Tumblr, as well as festivals across the world. Scott: As the title suggests, “My Friend the Demon” tells the story of the friendship between a girl and a demon as the result of years of abuse from her father. What had drawn to you tell this story in this unique way? Matt: I love to tell stories about vulnerable characters if you can put the audience in their position effectively, it makes for a very powerful experience. It’s the key to creating a good horror. I wanted to approach it differently this time, offer an escape for the character and create a power shift. This is ultimately what the demon represents, an escape. We all have our escapes, some are just a lot darker than others. This takes on a very dark and physical representation of the girl’s hatred for her abusive father. Then from there, I thought it would be fascinating to see how this relationship would develop. 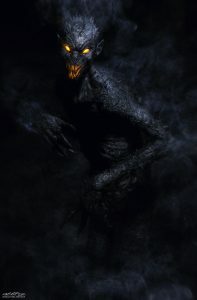 In most horrors, we run and hide from the demons, but what would happen if this demon was loyal to you, and you had an element of control over it. Or so you think. Maybe it has control over you? Who knows. Scott: Can you talk us through your process how you developed the story? Do you plan and outline extensively before writing the first draft or are you pretty relaxed? Matt: I’m pretty relaxed when it comes to writing for a short. I have an idea and some scenes that I think would be really cool to see. Then I’ll just start writing and see where the story takes me but I’m always thinking what would I like to see next as a viewer? Then after that first draft, I’ll go back and see where it can be improved. I’ll often consult with a good friend of mine who’s a scriptwriter. Get some feedback. That always helps and the more I’ve gotten into scriptwriting the more I’ve come to realize that. It’ll often remove any confusion in the story or inconsistencies before you shoot. Scott: Brandon Waites, the co-founder of The Film Empire, is your producer for this short film. How did Brandon become involved and what tips would you give to other writers, directors, writers/director attracting a producer to their own project? Matt: I first spoke with Brandon a couple of years ago when he got in contact after seeing my short film ‘I Heard It Too’. He was impressed and told me all about what he was doing with Film Empire and what his plans were. I thought it could be a great relationship. Normally my projects are pretty small, and he’s helped here and there with locations and cast, etc. My intentions for My Friend the Demon were actually to keep it kinda small too but when I showed him the script he loved it and really wanted to take it to another level. In terms of attracting a producer for your project, I think it comes down to two things. You need to have some quality work. Go out and make something! You don’t need a producer to make your first short. If you’re looking for someone to produce your film, you need to be able to prove it’ll be worth their while to invest their time in you. Then if your work is good enough the right people will find you (also some wrong people too). Once you have that portfolio of work behind you, then you can also network. Go to events. Film Empire run some awesome events. Last year I attended a few in LA and met loads of people. But again, you need to have some work to show. Scott: When Brandon revealed to you that Javier Botet (Slender Man, IT, Mama, Crimson Peak and The Conjuring 2) will be starring in your short film – what was your reaction? Where were you? Has it actually sunk in yet? Matt: I’ve been a massive fan of Javier Botet for a long time, he’s a horror icon! So when Brandon revealed that we might be able to get him for My Friend the Demon I was pretty excited and that was actually what persuaded me to grow the project and try and raise the money to hire him. Scott: This is the first short film of yours that you’re raising money for through crowdfunding. As this is new to you, what has the experience be like setting up a crowdfunding campaign? I think you need to have a lot prepared before starting crowdfunding. Have all your assets ready, a strategy and a lot of time you can dedicate to the campaign. Honestly, I think we were underprepared for our first round of crowdfunding and it showed. We only raised a small fraction of the money we would need. That was just from generous friends and family, to reach beyond that you need to have a really strong fan base to appeal to. We have a much bigger team with a lot of talented people for this round of funding so with a bit of luck we’ll get there. It’s an amazing project with some outstanding talent attached so I can assure you if we get the money, it’ll be an incredible experience for the viewer! 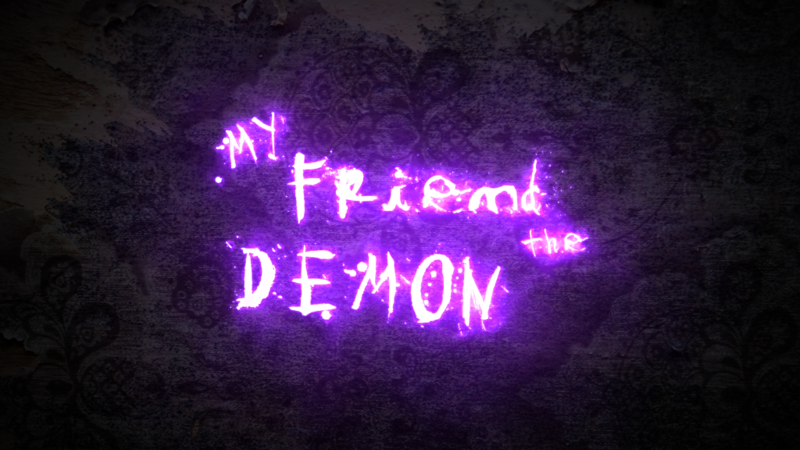 You can find “My Friend the Demon” on Indiegogo, Facebook, Twitter, and Instagram.